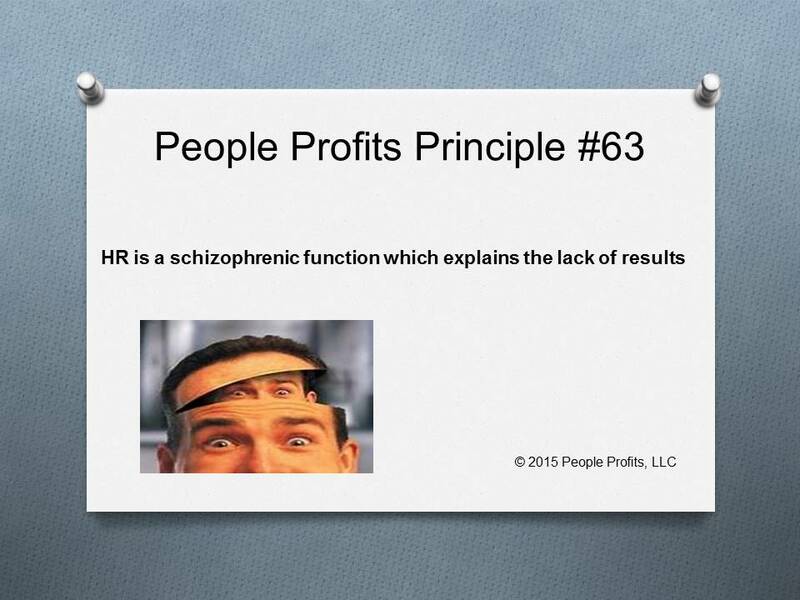 Are you frustrated with your HR function? Are you getting the results you want? Do you see limitations in your HR people? Do you want your "greatest asset" to be managed by people who do not do numbers? Could you manage anything without numbers? How can you formulate and implement a strategy without numbers? Does your HR department think financially or just relationally? Most business functions are focused on one basic skill set - HR is different. There are two very different skill sets. The first and most represented skill set is RELATIONAL which you see in every HR department. Many HR people gravitate toward HR for this very reason. They are generally relational extroverts and “want to help people”. The second is the FINANCIAL side of HR - which most HR people do not concern themselves. Most HR people do not see themselves as “numbers people”. This is the real challenge of HR - being able to work both sides effectively and efficiently.